Dried split lentils, grown by organic farmers. Delicious in curries and dals. Hob. Time: 15 - 20 mins. Allow approximately 40g of lentils per 80g cooked serving. Wash thoroughly. 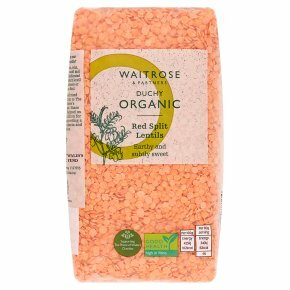 Place drained lentils in a saucepan and cover with fresh cold water, bring to the boil, reduce heat and simmer gently for remaining time or until cooked and tender.